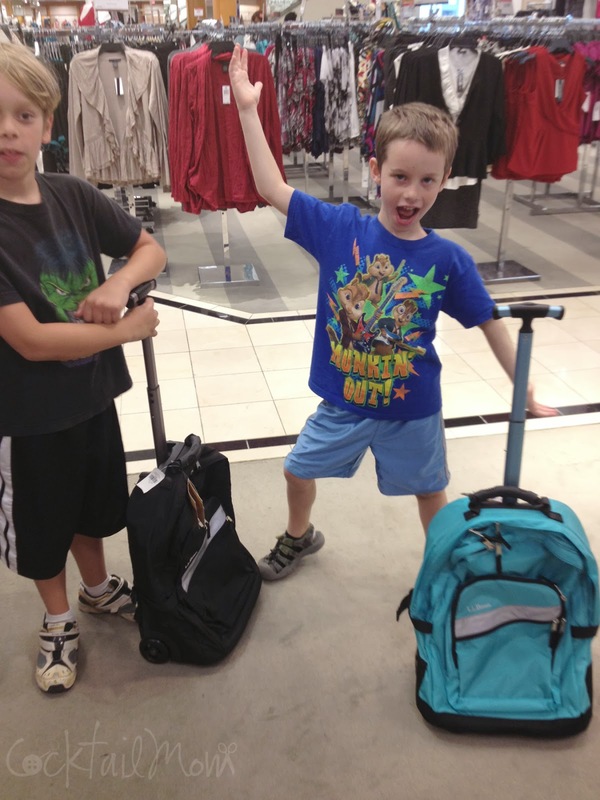 I don't often write reviews of products but when I was going through some old photos I can across this sweet gem from 2 years ago and was drawn to write about the boys backpacks. They have used these L.L Bean backpacks for 2 school years and they are still in great shape. We haven't had any issues with zippers or the wheels. I highly recommend investing in a L. L Bean backpack. It seems like a lot of money to spend on a child's book bag but it is made to last through elementary, middle and even high school. Buy once and buy well.